Area students have been named to the spring semester dean’s list at the University of South Dakota. Named to the list are: Josey Blare, Carter; Mariah Kinzer and Sarah Shippy, both of Colome; Michelle Novak, Tracy Routh, Cohl Turnquist, Colby Curtis, Bailey Volmer, all of Winner and Dacey Kocer, Wood. Two students were named to the academic honors list. This is for students who are part-time with fewer than 12 hours. The Winner students on the list are Becky Brown and Sissy Orel. Winner area students have been named to the spring semester dean’s list at South Dakota State University, Brookings. Named to the list are: Kamber Hossle, Nick Hossle, Eleanor Moleterno, 4.0 GPA, all of Hamill; Jayce Assman, Colton Best, Nathan Farley, Hayley Halverson, 4.0, Kylie Horstman, Trace Meyer, 4.0, Sydnie Peters, 4.0, and Coleton Schuyler, all of Winner. 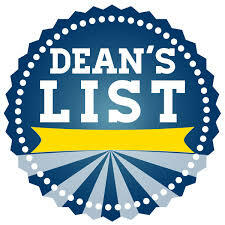 Wood residents named to the dean’s list are Allie Kingsbury and Haley Sherwood. Two Winner students have been named to the president’s list at Lake Area Technical Institute. Named to the list are Cameron Biggins and Michael Massa. Area students have been named to the spring president’s list at Mitchell Technical Institute. Included on the list are Forrest Cerv, Cody Heath, Chase Hrabanek, Taylor Hrabanek.